Prize also includes your own hair and make up team to help complete your look on the night. To enter the competition, all we need from you is a little inspiration! Share your unique eye-for-style by creating a mood board on Pinterest, dedicated to your perfect Prom dress. We’re talking colour, shape, style, fabrics and any other images from décor to canapés that you think will give us an idea for your dream Prom dress. Include one picture of yourself and at least three Topshop pieces from Topshop.com on your Pinterest board. 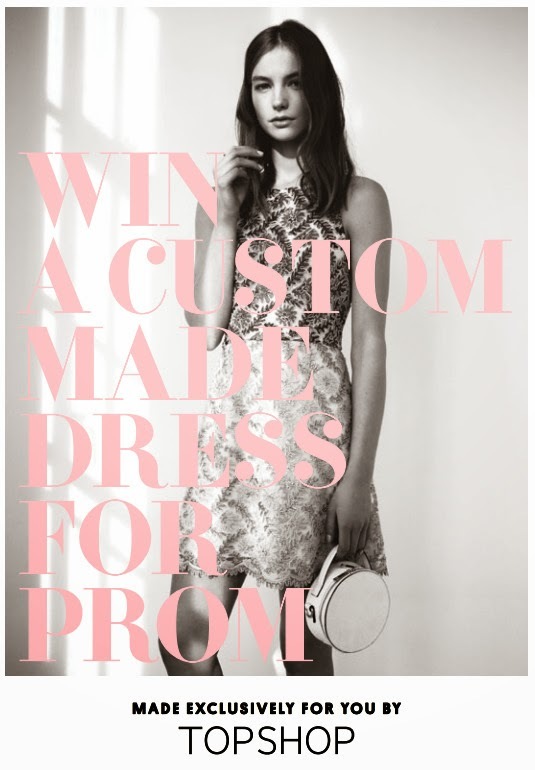 Once you’ve created your board, head over to topshop.com/promqueen and fill out the competition entry form. A panel from our design team will choose their favourite mood board and we’ll get to work on creating a limited, one-off dress, inspired by your board and ready for you in time for Prom.